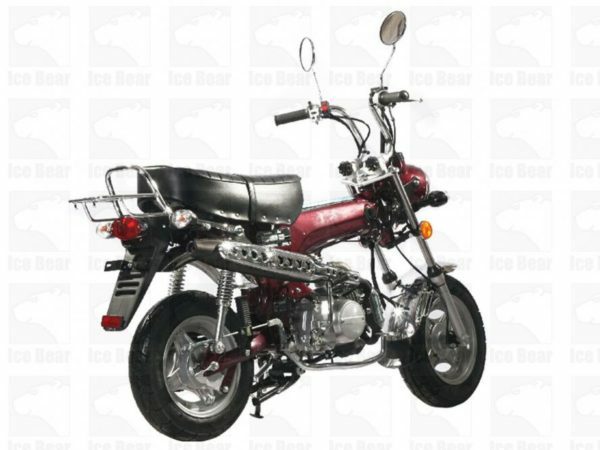 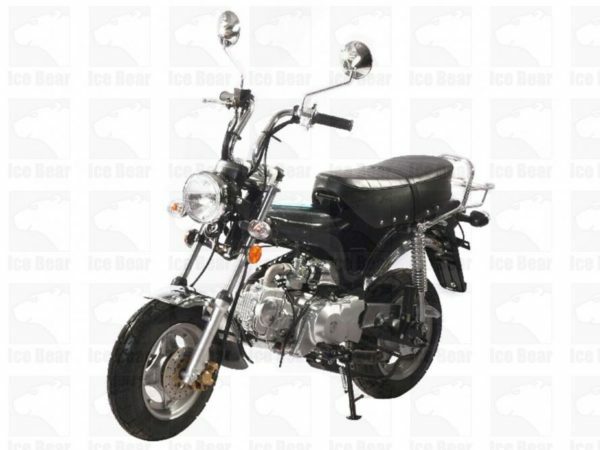 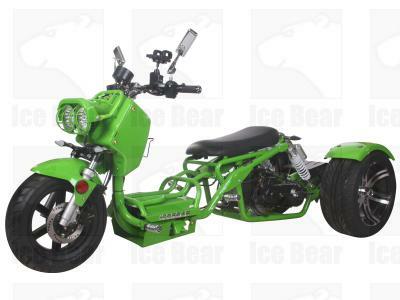 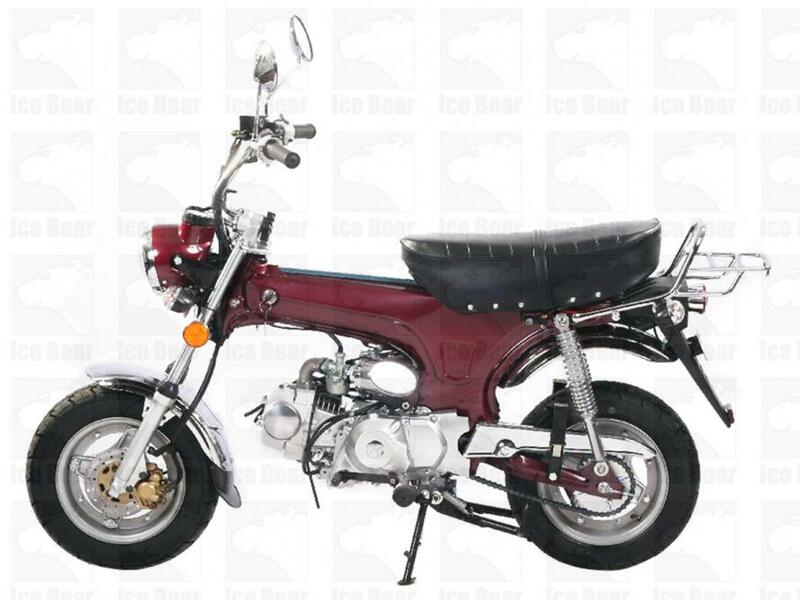 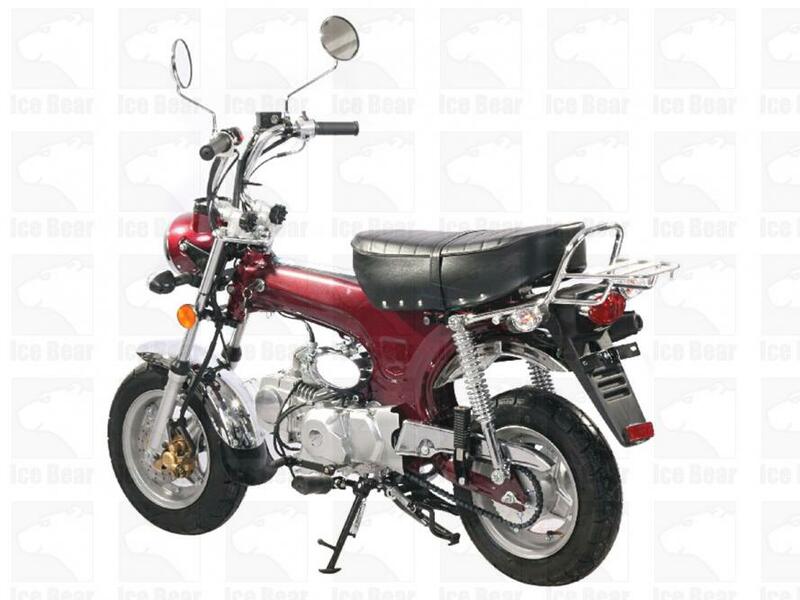 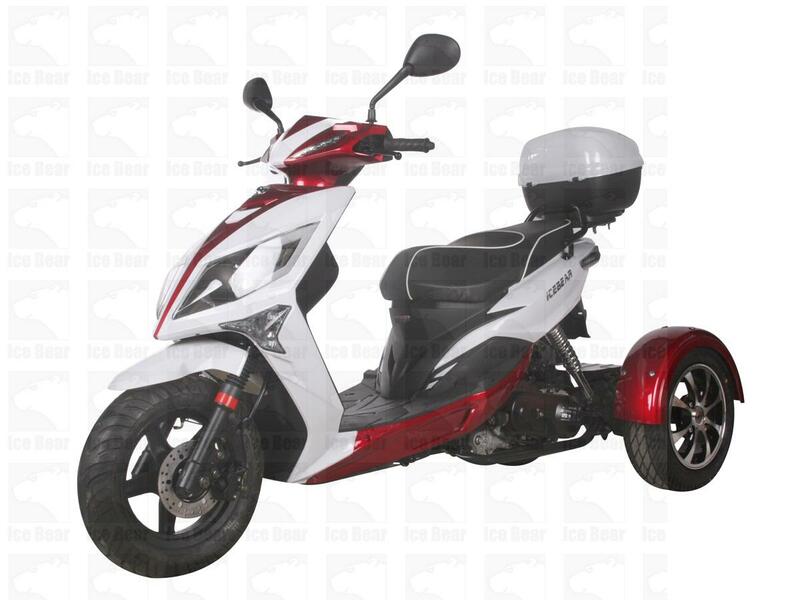 The Icebear Champion is the ideal mini motorcycle. 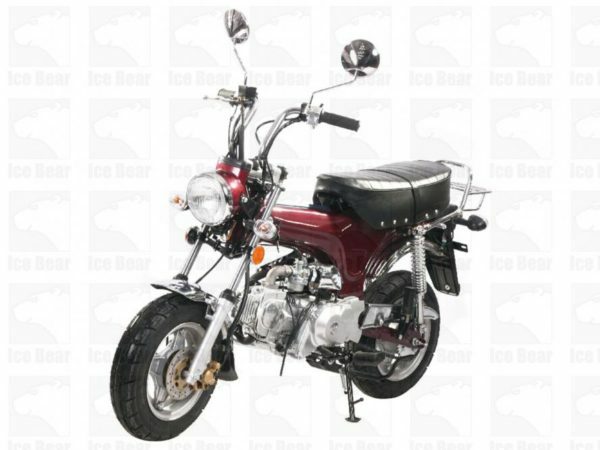 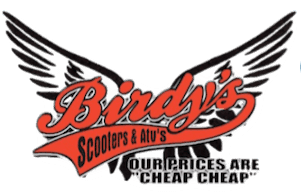 At home on the trail, this rugged little motorcycle is ready for where ever you want to take it. 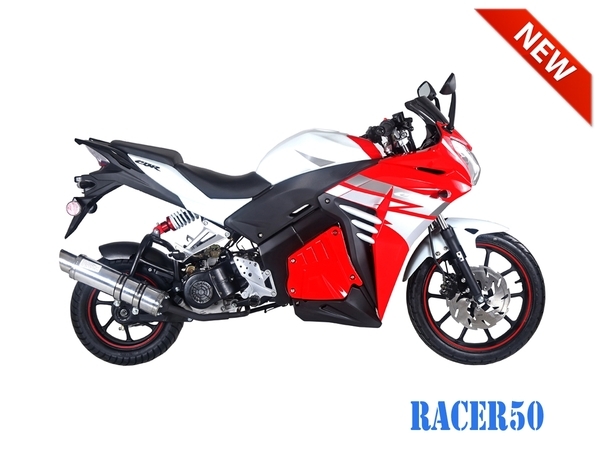 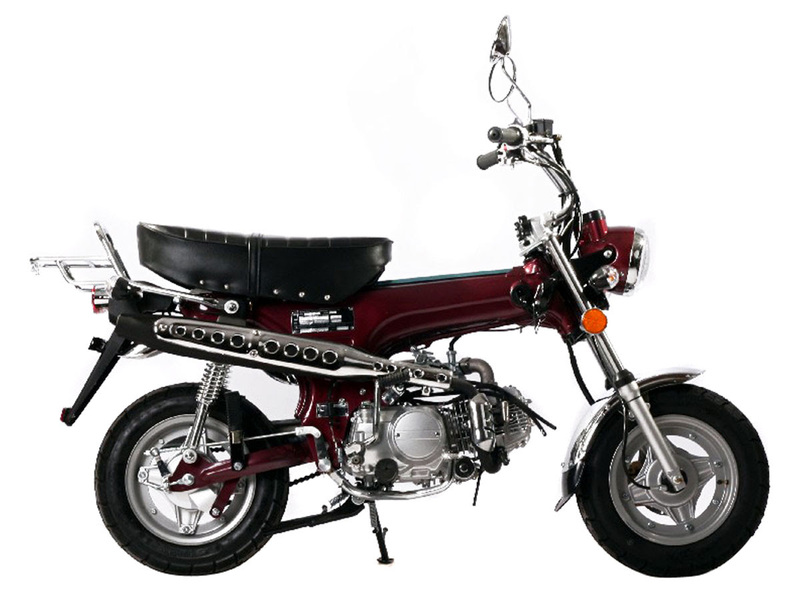 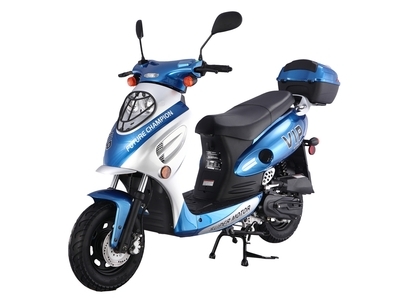 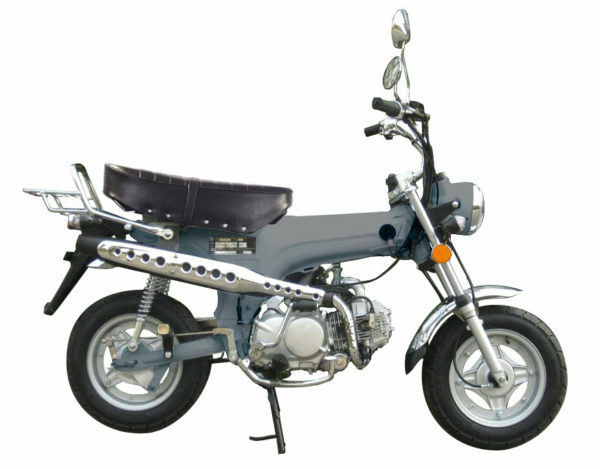 The Loncin 125cc engine makes awesome power and the semi-automatic 4-speed transmission makes riding a blast. With folding handlebars, you can pack up the Champion and take it in your RV or camper. 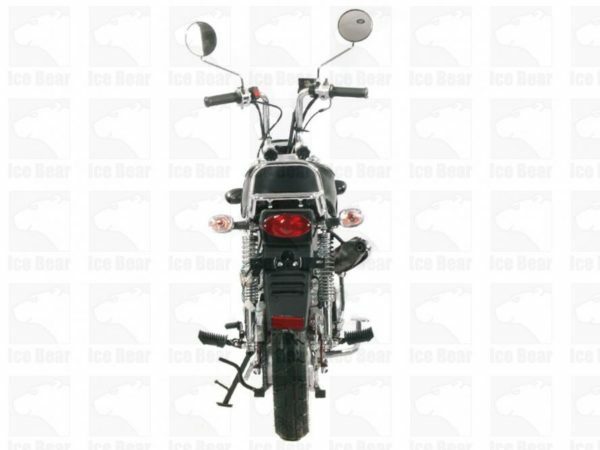 A rear-mounted luggage rack can hold books, smaller items or your favorite beverages. Available in several colors, contact us today!